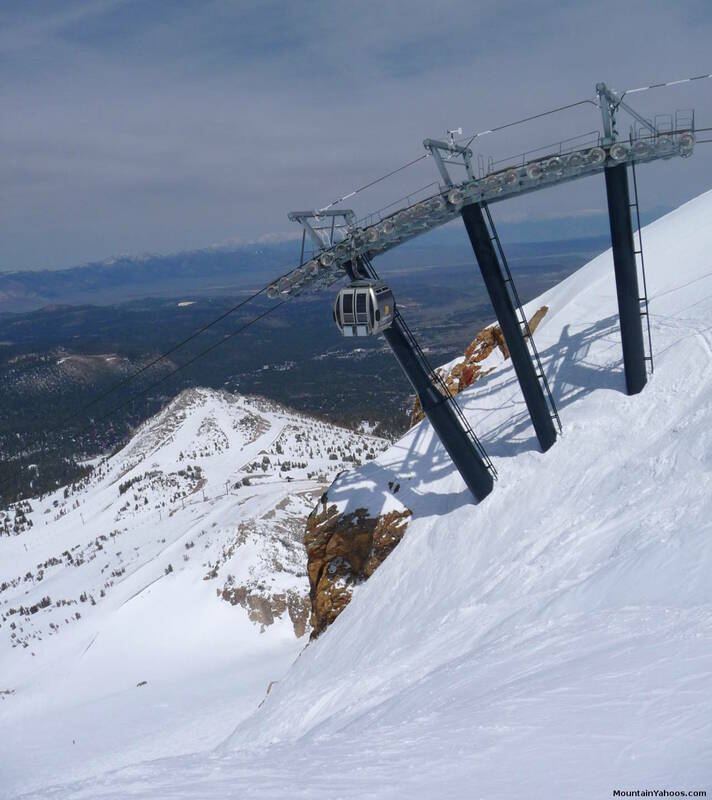 The upper terrain at Mammoth Mountain off of the Gondola and chair lift 23 is some of the most challenging terrain at the resort. It is very steep and should only be attempted by the most advanced skiers. This terrain is all rated "Double Black Diamond". 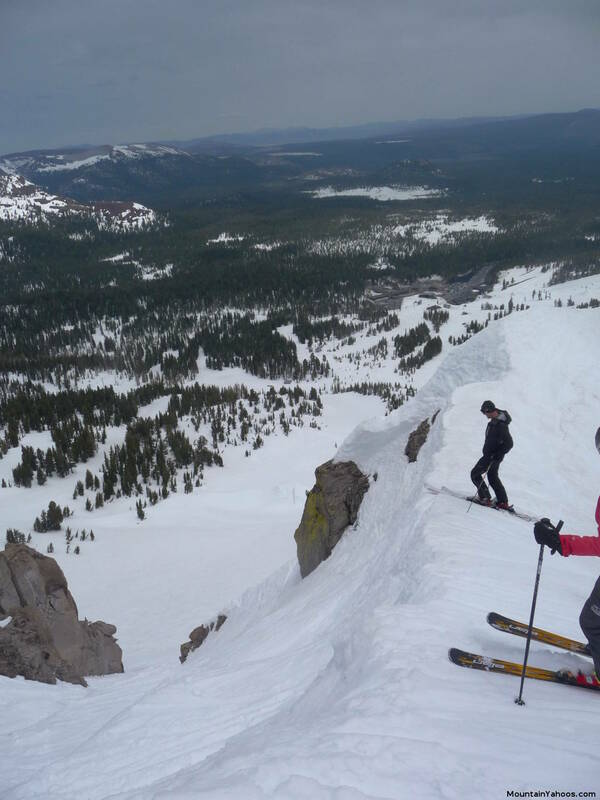 Also see our Mammoth Mountain resort guide and review and our back country guide to "Hole in the Wall". From the top of chair lift 23 take a right and follow the ridge line. There will be a point where you will want to gain some speed to make your way up hill without a climb. 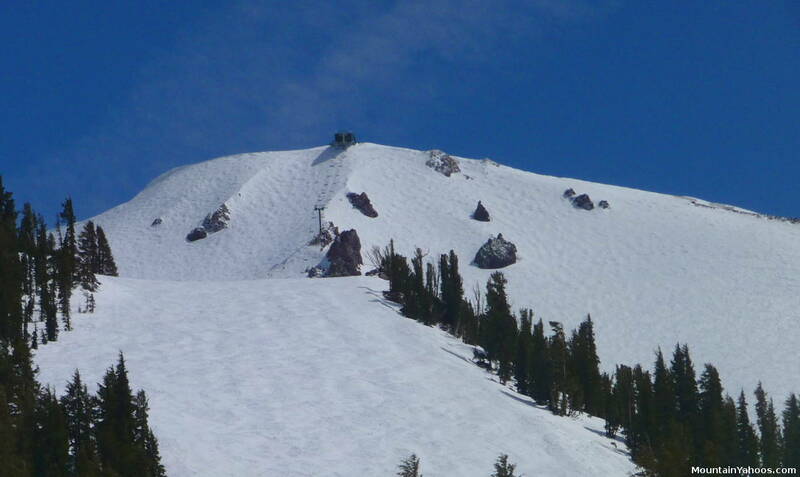 At this ridge peak, one can cruise the ridge line to drop in on Paranoid Flats. 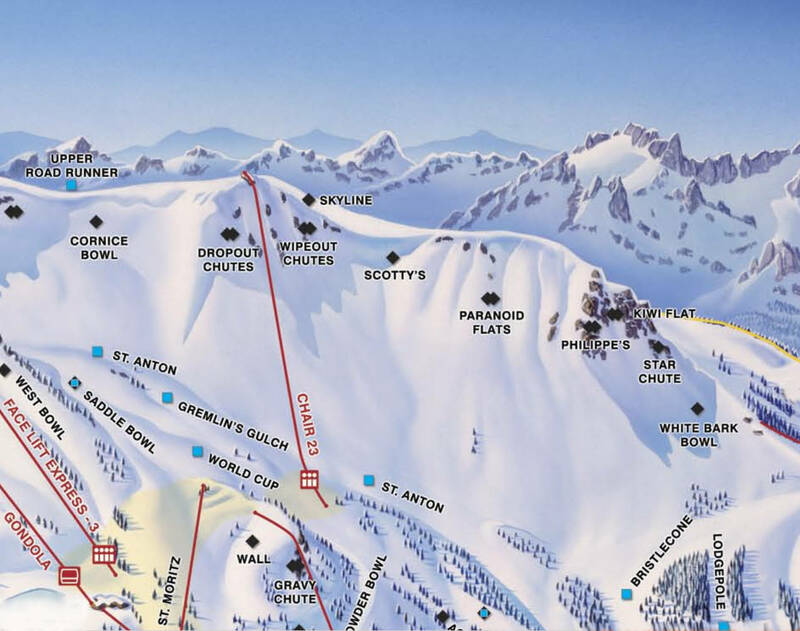 While the trail map shows Kiwi Flat and Star Chute (also known as Frenchies nicknamed after the challenging line skied by French extreme skier Guerlain Chicherit), there is rarely a simple way in (requires a hike around the rocks) and it is rarely skiable unless hucking a 10 foot drop is your definition of skiable. 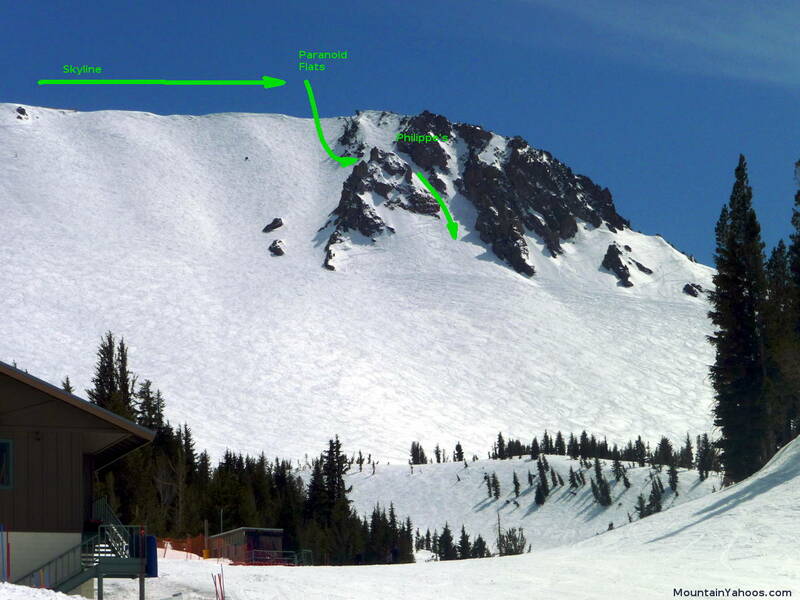 It is much more friendly on a good snow year which can cover the rocks and fill in the drop at the top. 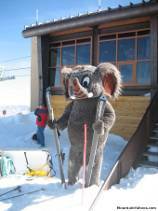 It was skied during the 2000 Gravity Games and the 2002 IFSA Freeride North American Tour. 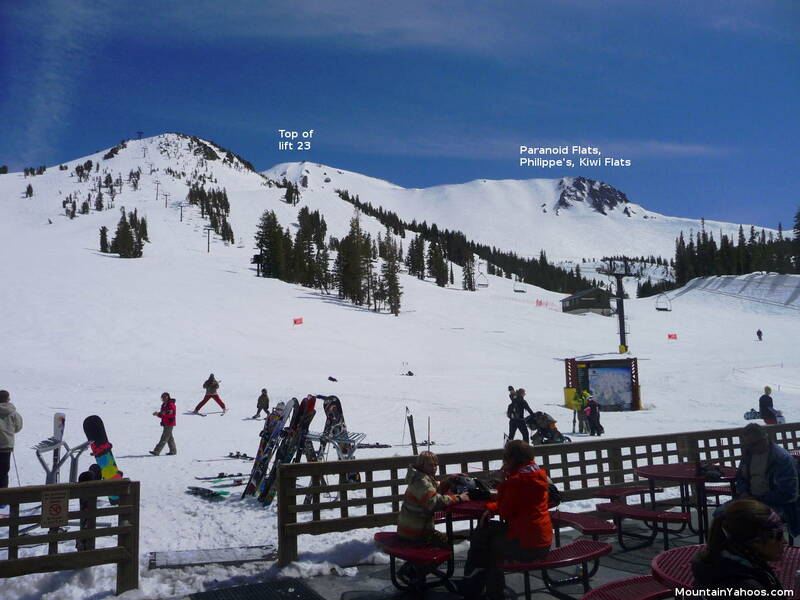 Skiing Climax, Paranoid Flats and Philippe's at Mammoth Mountain CA. Low resolution grainy POV video of a run at the Star Chute at Mammoth Mountain CA.